Welcome back! 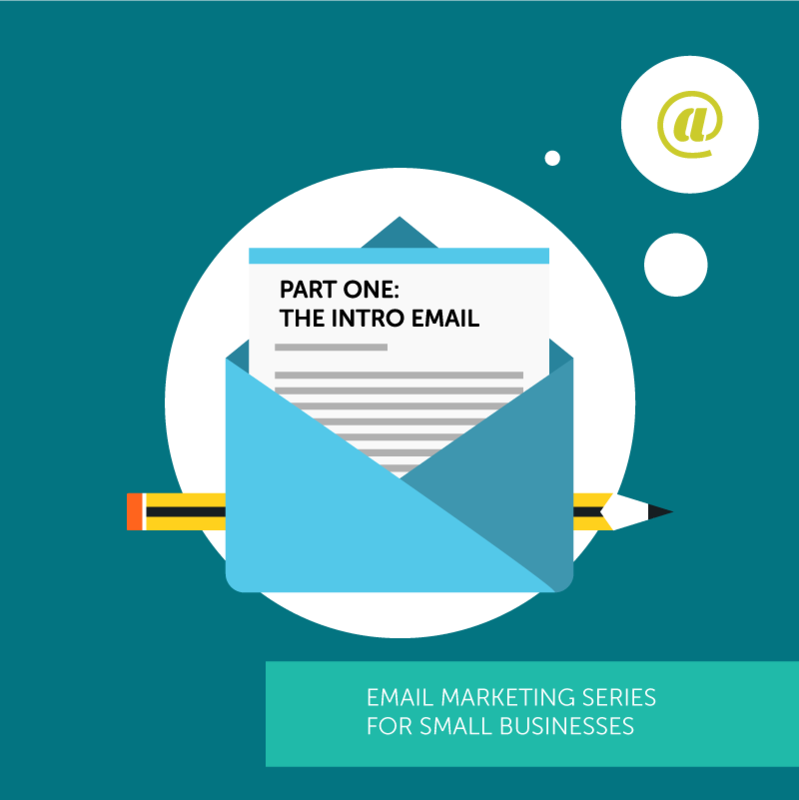 Now that you’ve been introduced to the benefits and best practices for small business email marketing, we’re going to dive into the first part of the series: the introductory email. This is may be the first one-to-one action a potential customer has with your brand so you better nail it. So what do you say we take a look at a sample introductory email from our friend Bob? In a moment, I’ll explain specific aspects you will want to consider when putting together your introductory email. I think you will love our expert tips on how to save money, time and headaches on your next website overhaul. You’ll also learn how to make sure that your website generates more leads and customers after the project is finished. Be sure to access it here. If you’re thirsty for even more advice on getting the most out of your next web design project, we’ve got daily updates on our blog and Twitter page daily. Have a burning question we can answer for you right away? Shoot me an email at bob@rocketmarketing.com or call us directly at 555-633-2727.
p.s. Be sure to add us to your email client’s white list – we’d hate for you to miss any of our valuable, cost-effective digital marketing tips! Let’s break down this email. Your mom was right. First impressions matter. A memorable first impression will make your recipient want to continue reading and will help you in your all-important quest to build momentum that leads to sales. To help with a solid first impression, be welcoming, personable and grateful in your email. An attention-grabbing image doesn’t hurt either. According to one study, email personalization results in six times greater transaction rates. In email marketing, especially with your introductory email, you need every advantage you can get. So use personalization to your benefit! You want them to open your email right away, so A/B test different subject lines to help make this goal a reality. If they don’t open your email for a week or more, the chances of them ever downloading your content offer, opening and reading future emails or ever becoming your customer are severely diminished. You also want them to read the great content you promised them when they joined your email list. So use your introductory email to “sell” them on doing so. Talk about the value your content offers them. One of the main strengths of email marketing is that you can use it to drive visitors to your website and social media platforms. In a lot of your emails, you don’t want to do this, because it could muddy your main purpose and take their focus away from your CTA, but the introductory email is one ideal place to invite them to your website and social channels. Every email you send needs a call to action of some sort. In the above example, we aren’t doing a hard sell, but we are inviting them to contact us with any questions they may have. In tomorrow’s article, we’ll talk about the second email in our series, the lead nurturing email, and why it is so important to your email marketing success. So stay tuned! PS – If you are going to succeed at email marketing, you will need to send the right message at the right time. Hatchbuck can help you save time and automate the process.